Exclusive! 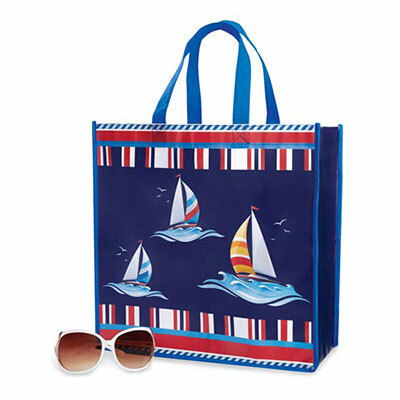 Pack up all your gear for a day at the beach, a shopping trip or weekend getaway. Sturdy, non-woven polyester fabric is coated for durability and easy cleaning. Generous size. Imported. 14"w, 12"l handles.